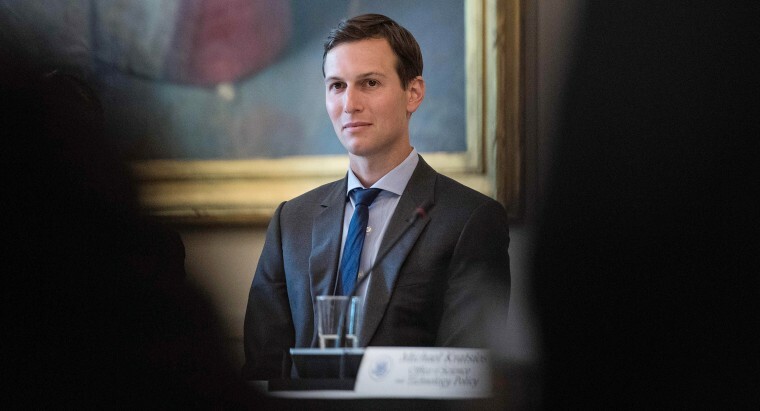 President Donald Trump's son-in-law and top adviser, Jared Kushner, used his personal email account while communicating with White House colleagues, Kushner's lawyer said Sunday. In a statement, the lawyer, Abbe Lowell, said Kushner used the account in fewer than 100 emails during Trump's first eight months in office. "These usually forwarded news articles or political commentary and most often occurred when someone initiated the exchange by sending an email to his personal, rather than his White House, address," Lowell said. "All nonpersonal emails were forwarded to his official address and all have been preserved in any event." The use of private email for official business loomed large in Hillary Clinton's 2016 presidential bid. Clinton used a private server while she was secretary of state, and, amid apparent efforts to hide the email system, State Department and intelligence officials asked federal authorities to determine whether she'd jeopardized classified information. On the campaign trail, Trump called what she did "wrong" and said it would be "impossible for the FBI not to recommend criminal charges." Investigators found dozens of classified emails on the server, including two considered highly sensitive. Although James Comey, then the director of the FBI, said he'd found no evidence of a crime, he said Clinton and her staff had been "extremely careless."